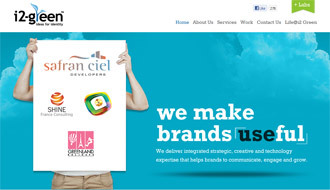 with our clients to create a unique company identity to stand out among the crowd. We have a passion for derstanding our/the market and how to be effective in it. I2-green just doesn’t want only to make your project look great but also want to make that sustainable as possible. We always make sure that we provide you and the organization green quality without sacrificing great design. Please browse our website to discover exciting business opportunities for business growth with quality and value.